Summer is starting to wind down, but the weather is still nice and warm across the U.S. It’s the perfect time to hit the pavement for an August road trip. As kids go back to school, you can expect some good deals on August travel, especially later in the month. And, there are best to visit in this month, and this month alone. Let’s take a look at some of your options. 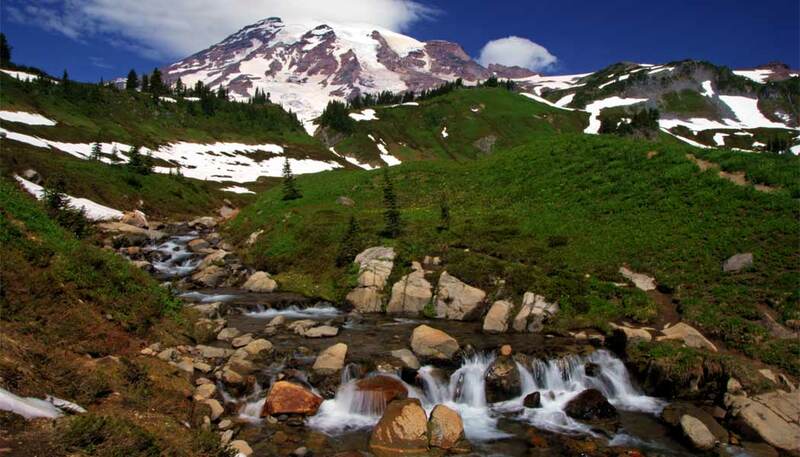 Mount Rainier is one of the northwest’s most spectacular attractions. The old volcano offers endless hiking opportunities, countless waterfalls, and excellent odds for a bear sighting. But, if you want to actually see the mountain surrounded by blue skies, there’s a very limited window of opportunity. The Pacific Northwest’s best weather arrives in mid-July, and lasts for about six weeks. If you’re betting on the weather, August is your safest bet. You’ll probably want to focus some of your time around the Paradise area of the park. Trails like Alta Vista criss-cross Paradise, leading to excellent viewpoints. Waterfalls like Myrtle Falls and Narada Falls are easy to reach, while Comet Falls and Van Trump Park take some more effort. After a few days at Paradise, move over to the Sunrise area for a day or two of hiking around Sourdough Ridge and Mount Fremont. The Longmire entrance to Mount Rainier National Park is only a two-hour drive from Seattle, and just 86 miles from Sea-Tac Airport (SEA). The drive up from Portland (PDX) isn’t bad either — only about 145 miles. Don’t forget to check airfares and rental car rates at both airports to find the best overall deal. Consider staying in Packwood, Washington — it offers a few cheaper lodging options, compared to those just outside the park entrances. You can’t beat the weather at Mount Rainier in August. Of course, this means visitor numbers surge during this month. But, the crowds are a small price to pay for seeing Rainier in its summertime glory. It isn’t easy to visit Crater Lake National Park. It’s a long way from Portland, and even further from anywhere else. But the biggest challenge is the snow — the park regularly receives 20, 30, or 40 feet or more of snow each winter. That’s feet. It takes a lot of time to clear away all that snow, and the entire loop road around the crater usually doesn’t open until early to mid July. So, if you want to be able to drive the scenic rim road, all the way around, your best bet is in August. By September it could be snowing again, and the east rim will probably be closed by mid-October, or earlier. 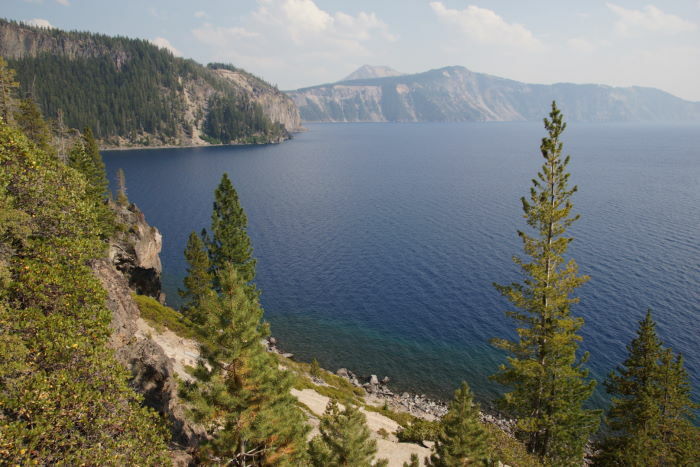 When you take an August road trip to Crater Lake, you’ll be able to drive the entire Rim Drive, and take a boat out to Wizard Island for an unforgettable hiking experience in the middle of the lake. Garfield Peak and the Watchman Fire Tower also offer great hiking opportunities. Portland is about 300 miles away from Crater Lake. Perhaps surprisingly, the San Francisco Bay area is just 400 miles away, making those airports and Sacramento viable alternatives. It’s worth noting that you can reach Crater Lake by car year-round. But, during winter and spring, you’ll be limited to just one viewpoint, at Rim Village. If you want to drive around the entire lake, aim for an August or September visit. If you want to take a boat out to Wizard Island, the shuttle only runs from mid-June to mid-September — once again, making August the most ideal time to visit. If you want to get an early jump on fall leaf-peeping, consider an August road trip to Alaska. Full disclosure: I haven’t been there in August, mostly because it’s still pretty expensive at that time of year. But, while I was there, I heard many people talking about the spectacular colors that appear as the very short summer season comes to an end. You won’t find many trees turning — instead, expect the ground cover to burst forth with a display that makes this jaw-dropping state even more unbelievable. By the way, in case you’re wondering, the scenic Glenn Highway is pictured above. It’s a great drive throughout summer (pictured here in early June), but it would be even better with some fall colors. Anchorage and Fairbanks are both good starting-points. 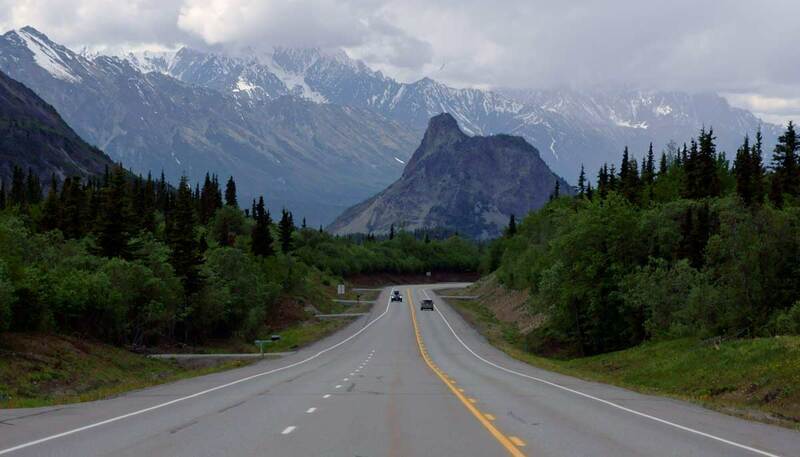 Fairbanks is further north, making it more likely that fall colors will be arriving by August, however you’ll probably still want to drive south from Fairbanks (or north from Anchorage) to Denali National Park. Fall colors can start appearing in mid-August, which is conveniently around the same time that airfare starts dropping at the end of the vacation season. Don’t be fooled, though, it will still be expensive to visit Alaska in August. If you’re looking for the very best balance between warm weather and low cost, I’d suggest visiting in late-May. New Mexico’s official state question is “Red or Green?” You’ll understand it once you experience New Mexico cuisine — most of which is smothered in either red chile or green chile (and yes, it’s chile, not chili). There’s something magical about the soil and the weather around Hatch, New Mexico. The area grows chiles with an unmistakable flavor that enriches everything from enchiladas to pepperoni pizza. The chile harvest takes place from the end of July through the middle of September, making August the very best time to enjoy fresh chile. While you should have no shame in traveling to Albuquerque simply for the chile, let’s add some outdoor recreation to your itinerary, just to help you justify the trip. Albuquerque can be hot, but the tops of the Sandia Mountains on the east side of town will be refreshingly cool. 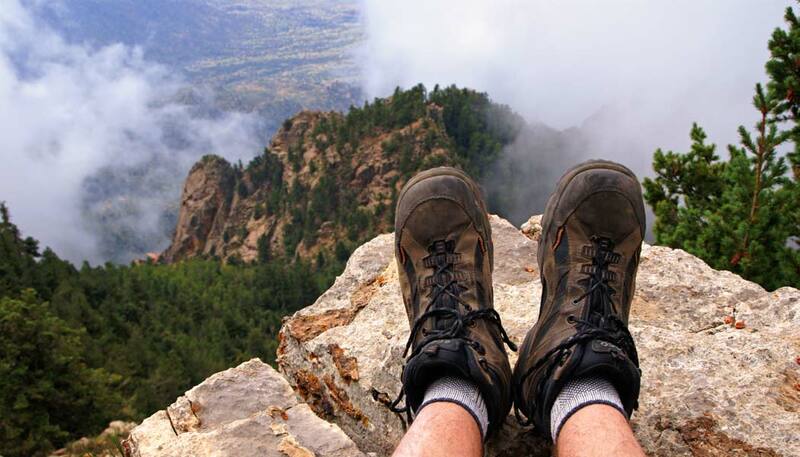 Sandia Crest is at 10,678 feet, and provides multiple thin-air hiking opportunities. You can also take a tram up the mountain, if you’d prefer not to drive. You can also consider a scenic drive up the turquoise trail byway to Santa Fe, and visit Kasha Katuwe Tent Rocks National Monument on the way back. Albuquerque or Santa Fe. You could also find some very good green chile in the southern part of the state, by flying into El Paso, Texas, and driving up. If you like spicy food, you’ll quickly fall in love with green and red chile. You can get it anytime in New Mexico, but it’s better when it’s fresh, and you can smell the chiles roasting outside restaurants and grocery stores.